Orange County Rehab 449Recovery speaks out against opiate addiction. Throwing addicts in jail doesn't solve the addiction problem; it just means we have a lot of addicts in jail. Detox for Opiate Addiction should be handled in a licensed treatment center and not behind bars. According to a story released on the New England Cable News website, the state of Oklahoma is now the number one state in prescription pain pill addiction and abuse. What is more disturbing according to data within the article is that the number of deaths as a result of drug overdoses is now averaging two a day; which is higher than the number of deaths caused annually by automobile accidents. As to what is causing this spike in fatal overdoses, there are varying theories, but the ease in which prescription pain killers and opiate medications are obtained is certainly a factor. What is of surprise is that the number of overdoses in the state has doubled in the past decade. On a similar timescale, prescription opiate sales have risen four times higher nationwide and rates of opiate addiction have climbed.The leading medications causing these overdoses are hydrocodone and oxycodone, but alprazolam is also playing a major role, as the overdoses usually are the result of the combination of one of the first two drugs and the latter. Better known as Vicodin, Percocet/Oxycontin, and Xanax (respectively), these drugs being the primary causes of overdoses is of little surprise to those familiar with their reputation and effects. "It gives us a lot to think about," said Rodney Robinson, CEO and Founder of 449 Recovery, an Orange County drug and alcohol treatment center in San Clemente, CA. "One would think that a quadrupling of sales would correlate to a higher number of overdoses, irrespective of one study analyzing data on a state level while the other is looking at it nationally. I like to think that this data shows that more people are seeking treatment due to the lower rise in fatalities versus sales, but it could be a number of other things as well." It is also interesting to note that Oklahoma is home to some of the harshest drug policies in the nation. While some states are soon going to vote on whether or not to allow recreational use of marijuana, possession of even small amounts of marijuana can result in life sentences for first-offenders in the Sooner State. These statistics also beg the question of whether the consequences for drug users and sellers have any impact on curbing the crimes. If they do not, it puts into question the very philosophy of how states approach drug and alcohol treatment from both a social and legal standpoint. "There is so much more to be gained from treating alcoholics and addicts," continued Robinson from the headquarters of the 449Recovery Orange County Drug Treatment center. "There is no treatment in throwing someone in jail for decades at a time. Throwing addicts in jail doesn't solve the addiction problem; it just means we have a lot of addicts in jail. Detox for Opiate Addiction should be handled in a licensed treatment center and not behind bars." A state with harsher penalties for possession and abuse that simultaneously has the highest number of overdose deaths illustrates a fundamental flaw in how drug abuse and alcohol addiction are treated within that state. The lack of action towards rectifying the matter shows that there are old philosophies that persist in spite of evidence that they are wrong, and one can only assume that it is because those who handle such matters are without ideas of how to pursue change. Unfortunately, though, nothing changes if nothing changes. 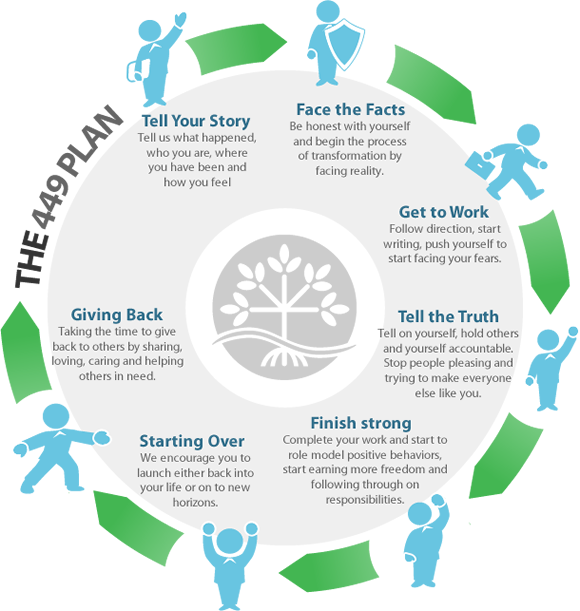 449 Recovery is an innovative Orange County drug treatment program located in San Clemente, CA.